4th Annual Run, Walk or Crawl 5k - We Won't Lay Down 2 Cancer! 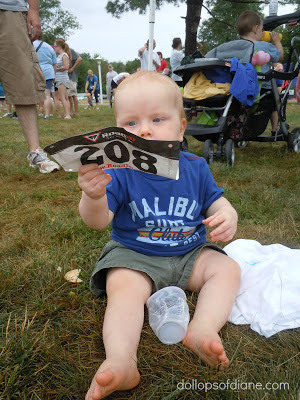 I just registered for a 5K and I checked off the "Runner" box. Yup, RUNNER - not walker. This is a first for me! In all honesty, I plan on running some and walking some. Although, a 5K is not long for a lot of people it is hella long for me. I've made no secret of the fact that I do not like to run but I do it - sometimes. And at a minimum I know that with this 5K it is for a great cause supporting Dana Farber and The Jimmy Fund. Both my husband and I lost our fathers at young ages due to cancer. My friend Becky (who co-started this race) was diagnosed with breast cancer when she was 13 weeks pregnant with her first child. You can read more stories HERE and we are all aware that there are a million more stories like ours. That's why I registered. That's why I donate. That's why I share. If you are local to the Boston area - come walk run with me. The family friendly, race is in Franklin, MA on July 20, 2013. You can register by clicking HERE. If you are not local but would like to donate, you can click HERE. 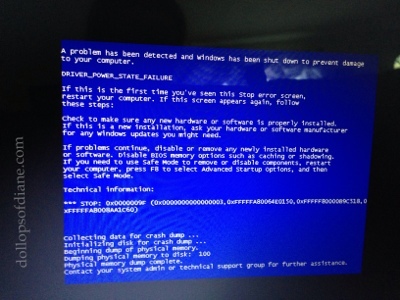 About two weeks ago I was innocently working on my laptop when it happened - the blue screen appeared. I was hoping it was just a fluke but no such luck. It started happening every few days, then every day, and then multiple times a day. I tried all the fixes recommended on any website I could find but my new found friend, blue screen, continued to show up. So yesterday I came to terms with the fact that my electronic baby needed professional help. So I backed up my data and headed off to the Geek Squad. They are going to run tests to try to figure out the problem so I had to leave him overnight. I should know more about his overall health today. In the meantime, I'm hugging my iPhone a little tighter and reminding him how much I love him. Well, it's official - Daniel is potty trained! Last Saturday (a week and a half ago) was his first day in big boy undies and he's been in them ever since with less than a handful of accidents. I swear it's like a switch with kids and once they get it they get it. With all of my kids it's always been on their terms. They decide and they do it. I actually play a very minimal role in the whole thing. I wasn't even planning on starting the process so I had just ordered a big box of regular diapers and swim diapers. That's always the way right? But last Friday he was showing interest in the potty and he went a couple of times. I could tell it just clicked so that was his last day in diapers. Well I'm still putting them on at night but he's actually only been wet one morning so far. At one point I had three kids under the age of three so we had LOTS of diapers in the house. I'm definitely looking forward to the end of that era. Although, with a 5, 4, and 2 year old now using the potty I might start writing reviews of all public restrooms in the state. Oh, and I think with the money we save on diapers I'll go on a tropical vacation...in my dreams at least! Potty on, people! 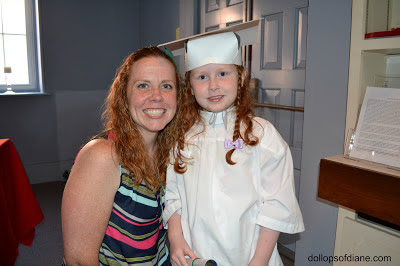 Last night, Isabelle (who it feels like JUST started school) graduated from Pre-K. They had an adorable ceremony where the kids sang songs and had a slideshow of pictures from the year. 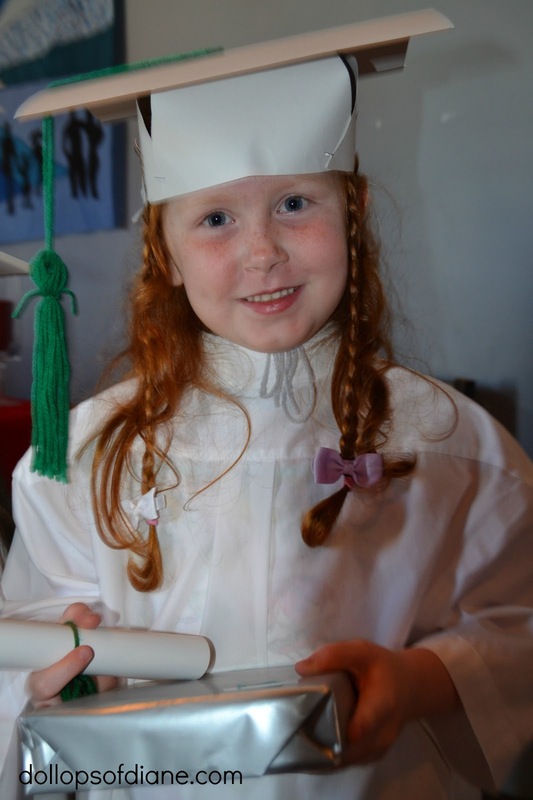 The ceremony was followed by dinner and desserts for graduates and their family/friends. It was a wonderful night filled with happy faces, smiles, and lots of great memories! Seriously, when did she get SO big?! We LOVE Isabelle's school so we are excited that this is not good bye for us - both the boys will be going there in the fall while Isabelle starts her Kindergarten journey! I was doing really well with eating healthy and working out and then something happened on Thursday. Something big happened. Okay, okay, nothing ACTUALLY happened, I just hit a mental block. I found myself popping excessive amounts of Goldfish in my mouth. I had a (delicious) martini rimmed with sugar with dinner. It was a "bad" day but that's okay. I would never be able to maintain a healthy lifestyle if I didn't treat myself to things on occasion. Friday would be a better day - except it wasn't. 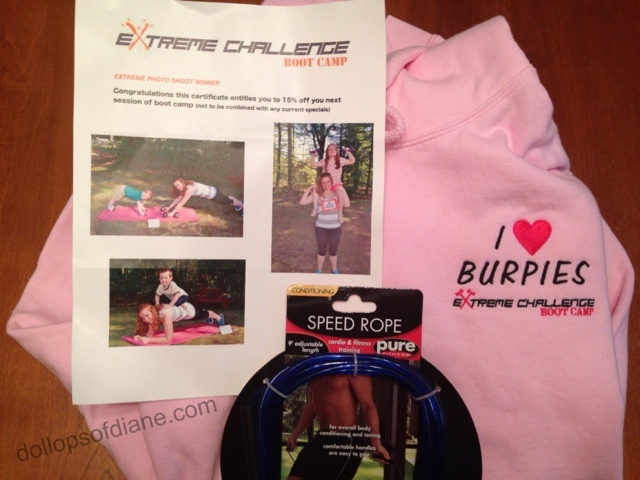 I skipped boot camp. Saturday was no better and by Sunday, I was washing down chips and pizza with Stoli Raz. I didn't even set the alarm to exercise yesterday since I knew it wouldn't happen. Then last night I had a Board meeting for my MOMS Club and I was basically the most Negative Nelly ever. We were talking about things like disabled people, animals in need, and small children and I was being a total grouch about it. I'm pretty sure puppies were crying in Heaven when they heard my comments last night. So I KNEW that I had to get back to working out this morning. It makes such a difference with my mental state. So even though I didn't head to bed until midnight I still got up with the alarm at 4:46am (because 4:46 is mentally much later than 4:45am!) and went to boot camp. So now I'm back and feeling good. I also got my prize today for winning the photo contest which is pretty cool. A PINK hoodie (my fave! ), a jump rope, and a coupon for future classes. Side note: I bought Isabelle a jump rope recently and showed her how to use it. She took one look at me doing it and said, "I think you need more practice with that." Burn! 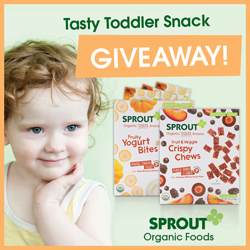 Sprout Baby and Toddler Food: GIVEAWAY! 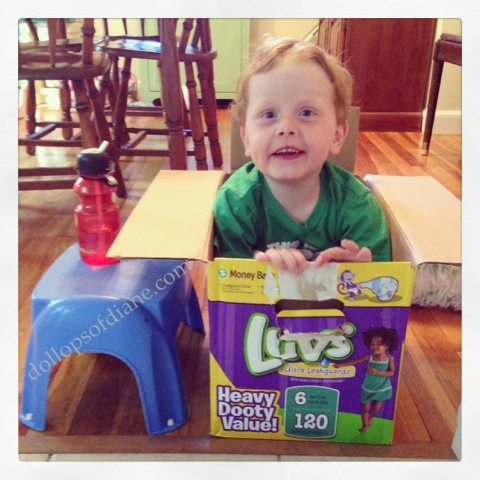 Have you tried out Sprout baby and toddler products yet? All of their products are made with organic fruits, veggies, whole grains, and proteins to meet the growing needs of little ones. Their mission is to create tasty, organic products for babies and toddlers. My children recently had the opportunity to try out some of the new Fruit and Veggie Crispy Chews and the Fruity Yogurt Bites. I'm happy to report that they liked them! Since my kids are not huge vegetable fans, I love any product that sneaks them in without the kids even knowing! We also shared some with friends at a playdate recently and they got an overall "Yummy" vote by all the kids! Sprout has all kinds of products starting with baby food right up through toddler food. You can buy their products at your local grocery store (the Stop and Shop and Walmart near me carry them) or on Amazon . Want to try out some of the new snacks for yourself? 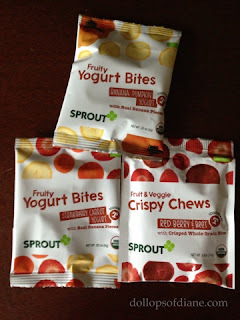 Well one lucky Dollops reader will receive a Sprout Organic Sample Pack including the Fruit and Veggie Crispy Chews as well as the Fruit Yogurt Bites. Use the Rafflecopter form below to enter! Disclosure: I received complimentary samples of Sprout foods. As always, all opinions are my own. My grandmother once told me that you can get through anything in life with a supportive husband by your side. Although it may sound like an old school approach to life, I often think about her comment. 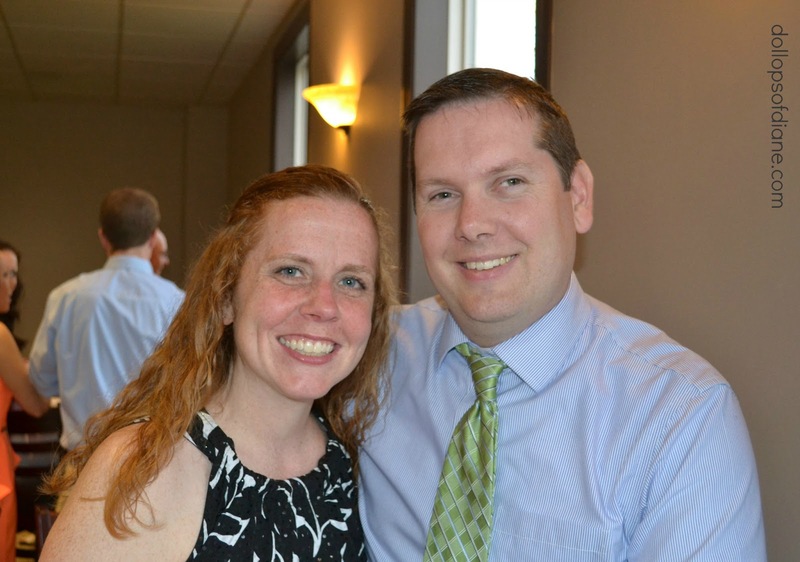 I know that tons of women accomplish amazing things without a husband (I was raised by a single mom) but I consider myself very lucky to have found a great guy to call my husband. Today is the seven year anniversary of when we first said "I do." It's the seven year anniversary of the day he became that supportive husband by my side. In those years we've had times that were stressful, joyful, terrifying, amazing, and heartbreaking. I've been able to laugh with him, lean on him, and talk incessantly to him about things that he has no interest in hearing about. So today, I'm wishing a very happy anniversary to my husband. Here's to 7 more years- okay, maybe 70 more!